Small pets allowed - YES, on request and extra charge. Pets are NOT allowed in common areas. be included in a tour of south-western Sardinia. We suggest the use of a rental car. 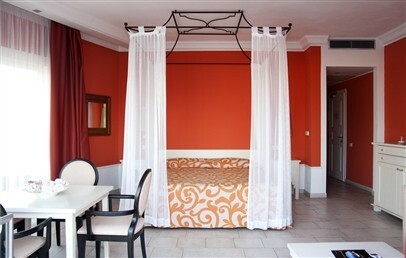 The Hotel Riviera is located in the old town of Carloforte, about 150 meters from the harbor. Charming town inserted among “The most beautiful villages in Italy”, Carloforte is the only municipality of San Pietro’s island, which is about 10 km from the south-eastern coast of Sardinia. Charming suggests to rent a car, in order to easily visit all the wonderful beaches. The modern and elegant 4-star Hotel Riviera, built on five floors, has a modern and smart design. It is located in the seafront, whose house are characterized by the nice Liberty Style façades. The Hotel is set in a strategic position to visit the town, to enjoy romantic walks through the stalls and in the narrow streets called "caruggi". 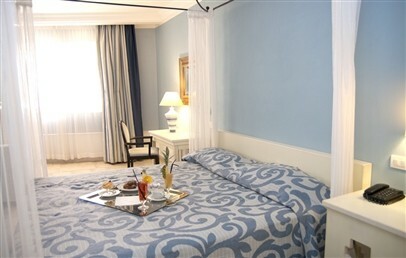 In total the Hotel Riviera has 43 spacious rooms, furnished in the modern style of the hotel. All have air conditioning, internet and courtesy set; three rooms are equipped for guests with reduced mobility. Classic – 25 sqm, double rooms located on the first floor, with en suite bathroom and shower, hairdryer (available at the reception), air conditioning, internet access, satellite TV, minibar, safe. These rooms face the street and can be a bit noisy, therefore Charming suggests to book a higher room type especially for a longer stay. 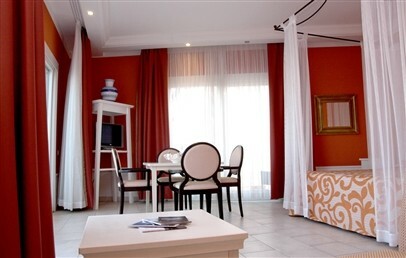 Superior – 25 sqm, double rooms furnished like the Classic ones but have additionally a lateral sea view and balcony. Deluxe – 25/30 sqm, double rooms furnished like the Classic but have either a bathtub or shower and a balcony or terrace facing the sea. 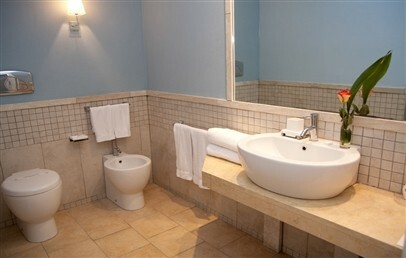 Junior Suite – 25/40 sqm, spacious corner rooms with bathroom with whirlpool tub, shower and bathrobe. The Junior Suite located in the higher floors feature a living area with a front sea view and a double balcony, while the ones located on the lower floors have big windows. 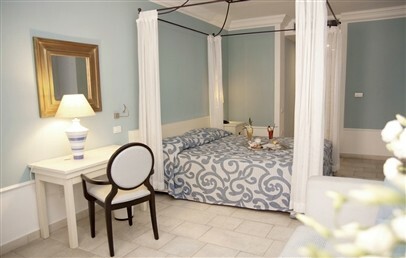 Suite – 25/40 mq, located on the fourth floor and it is the best accommodation of the hotel. 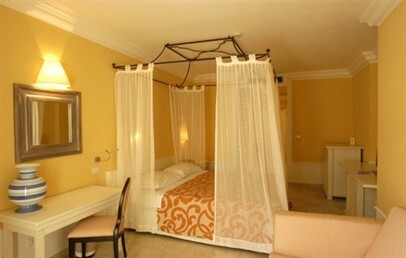 This open-space Suite located in the upper corner area of the hotel has a four-poster double bed and a living area with two sofas (one a sofa bed). 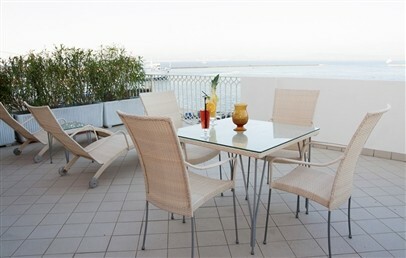 A nice terrace with sea view is equipped with sun beds and a lounge-table. Just outside the village of Carloforte, in a few time you will reach the beaches of the island, all worth to be discovered and photographed, e.g. La Bobba, La Caletta, del Giunco beach, Guidi. The hotel offers the bed and breakfast treatment, with buffet breakfast at the indoor bar. For lunch and dinner, the reception staff is pleased to suggest the best places to eat the tasty local food. The hotel boasts a wonderful panoramic terrace with a bar, to let guests relax and enjoy the sea view during its opening period from June to September. Diving, excursions, bike-, scooter- and boat-rental can be organized. Internet Wi-Fi is available in the hall and close to the Hotel Riviera a parking area is at the clients disposal free of charge (not guarded). Tourist tax: €1,00 per person/day, to be paid on spot. Double rooms modernly furnished located on the first floor, with private bathroom with shower, hairdryer available at the reception desk. They overlook the street and can be a bit noisy, therefore Charming suggests for longer stays, to book a room type of higher category. 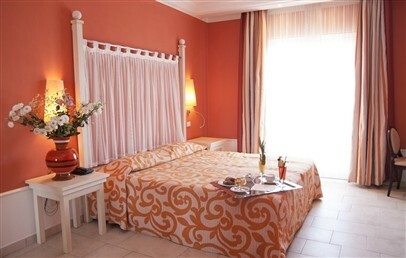 Double rooms modernly furnished with private bathroom with shower, hairdryer available at the reception. 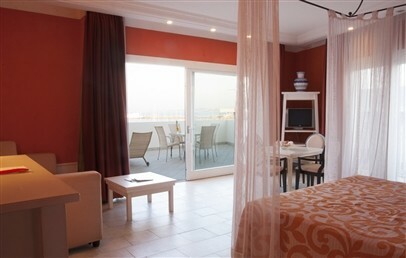 The Superior rooms have a balcony with lateral sea view. 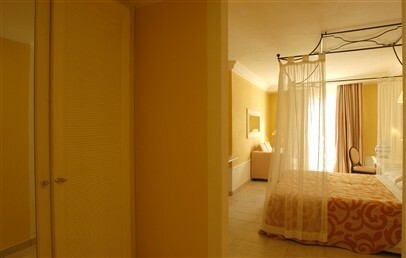 Double rooms modernly furnished with private bathroom, shower or bathtub, hairdryer available at the reception. 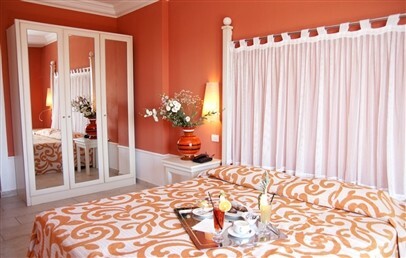 The Deluxe rooms hava a balcony or terrace on the sea side. 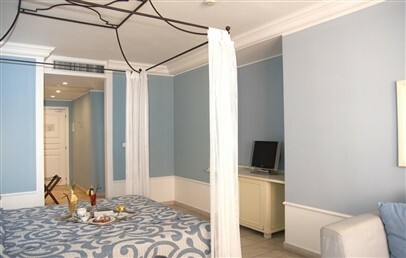 Spacious rooms modernly furnished, located in the corners of the Hotel, both in the higher floors or in the lower floors. They have a living area and a private bathroom with whirlpool, shower and bathrobe. 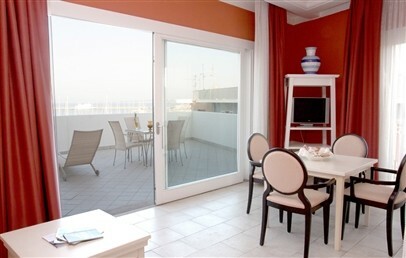 Junior Suites in the higher floors have double balcony on the sea side, while the Junior Suites in the lower floors have wide windows. Spacious Suits modernly furnished, located on the fourth floor. In corner position, they are an open space with four poster bed, living area with a sofa and a sofa bed. Private bathroom with shower and bathtub. 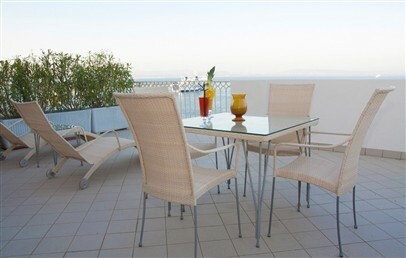 Two Suites have a wide terrace or a balcony with frontal sea view, equipped with deck chairs and table.